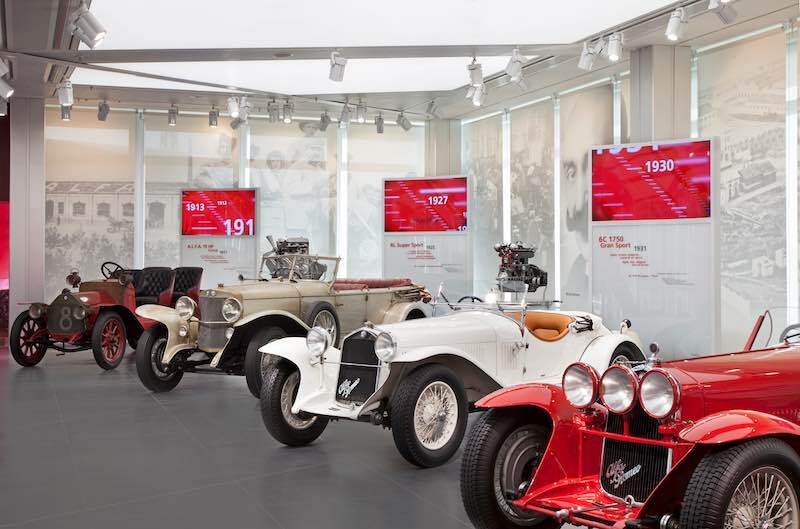 Alfa Romeo is celebrating its 105th anniversary by opening its historical museum in Arese, Milan, Italy to the public. The museum, which is named “La macchina del tempo – Museo storico Alfa Romeo”, is at the heart of a brand centre which also has a bookshop, cafe, documentation centre, test-drive track, event venues, showroom and customer delivery area, in an effort to feature the past, present and future of the Alfa Romeo brand under one roof. 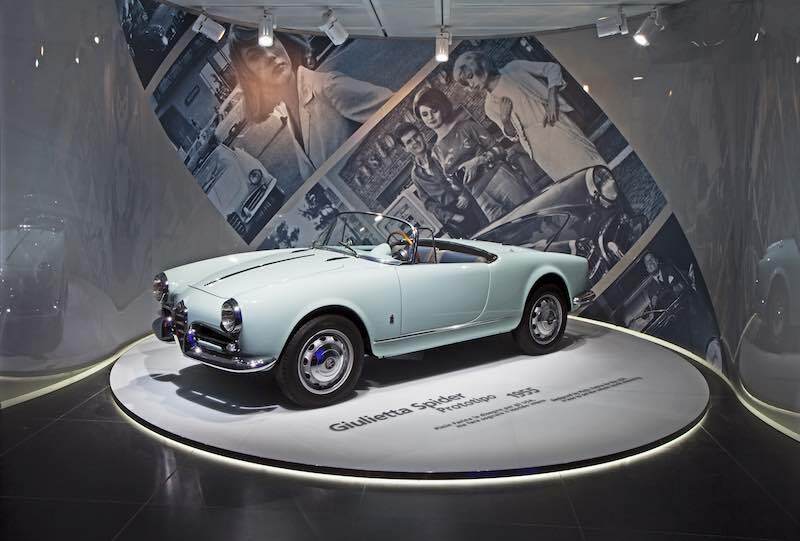 The Alfa Romeo Museum will open to the public on June 30, 2015 and it will be accessible to visitors every day, except Tuesdays, from 10 am to 6 pm, with extended opening hours until 10 pm on Thursdays. The museum is home to the most significant pieces in Alfa Romeo’s historic collection, which was started in the early 1960s. The museum first opened in 1976 but access had to be arranged in advance. Following the decommissioning of the Arese production plant and the relocation of the brand’s headquarters, the museum was closed in 2009. 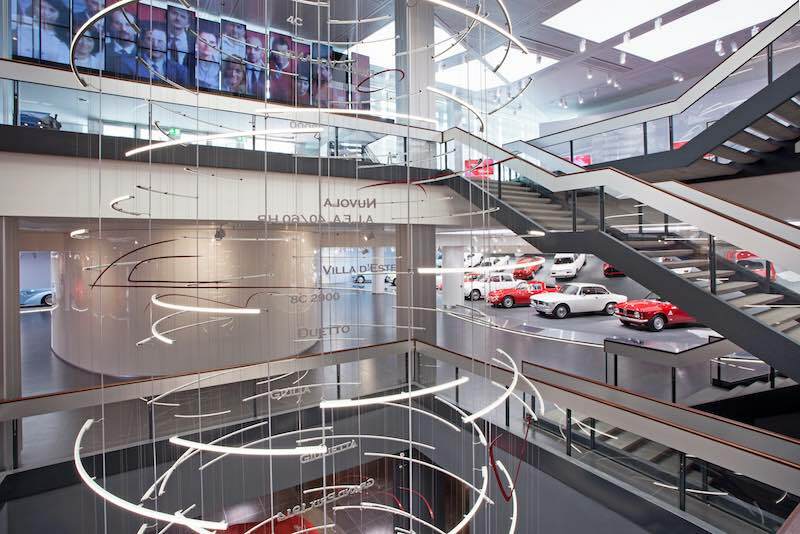 However, as part of Alfa Romeo’s global re-launch, the museum has been recognised for its symbolic place in the brand’s history and was chosen as the location for its rebirth. The architectural project redesigns the functionality of the complex, adapting it to new activities and to the expected visitor flows. The key element in the design is the red structure which crosses the entire complex: from the projecting roof over the visitor entrance, through the entrance and right up to the start of the display route with its new escalator architectural feature. 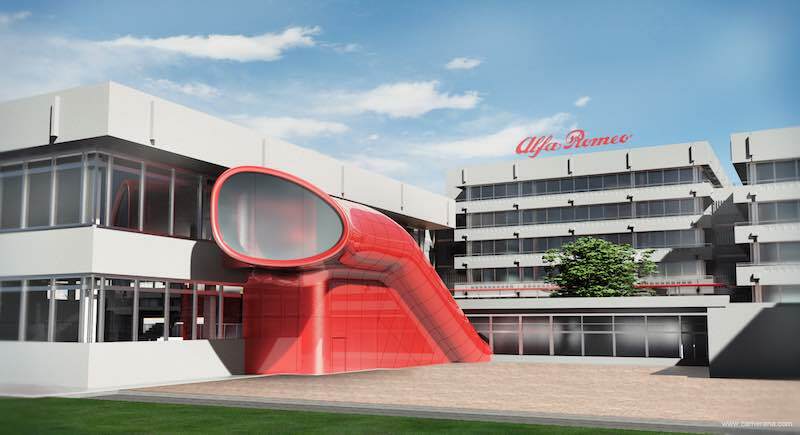 This last architectural addition, bright “Alfa red” and clearly visible from the motorway, is the symbol of the Museum’s rebirth: a modern feature set within a 1970’s architectural context, providing a link between past and present. The museum exhibits 69 models which mark not just the development of the Alfa Romeo brand, but the history of the automobile itself. From the first A.L.F.A. car, the 24 HP, to the legendary Mille Miglia winners such as the 6C 1750 Gran Sport driven by Tazio Nuvolari, the 8C coachbuilt by Touring and the Gran Premio 159 “Alfetta” World Formula 1 winner driven by Juan Manuel Fangio, not to mention the iconic 1950s Giulietta and the Championship 33 TT 12. Visitors will witness the essence of Alfa Romeo has been condensed into three principles: Timeline, which represents industrial continuity; Beauty, which teams style with design; and Speed, which addresses technology and light weight, with a floor of the museum devoted to each principle. Timeline occupies the entire first floor with a selection of 19 cars that best represent the development of the brand, each accompanied by a multimedia information panel. The exhibit is completed by an “interactive memory”, a smart-tech station where visitors can access an interactive system for more details about the history of each model. The installation entitled “Quelli dell’Alfa Romeo” narrates how a legend was formed over the past 105 years thanks to the work of thousands of people who contributed to the company’s growth: the factory workers, mechanics, designers, testers, engineers and administrative staff. The second part of the exhibit, on the ground floor, is called Beauty and features several themed areas. The layout has been designed with dynamic and smooth lines that recall the style of the major Italian coachbuilders: from the “I maestri dello stile” (Masters of style), which combines nine major design examples from each era, to “La scuola italiana” (The Italian School), displaying cars built by the Touring bodyshop under the Superleggera brand in the 1930s and ’40s. In the centre lies “Alfa Romeo nel cinema” (Alfa Romeo in the movies), followed by “Il Fenomeno Giulietta” (The Giulietta Phenomenon) and “Giulia: disegnata dal vento” (Giulia: designed by the wind), with models that accompany the growth of the economy and of Italian style in the 1950s and ’60s. The third part is dedicated to Speed and it stretches across the entire basement level. Here Alfa Romeo enthusiasts can meet the stars of Alfa Romeo’s major victories: from “Nasce la leggenda” (A Legend is Born), a multimedia space which groups together the stars of the epic competitions between the two world wars, through to the debut in F1 racing, “Progetto 33” and “Le corse nel DNA” (Racing in Alfa Romeo’s DNA). 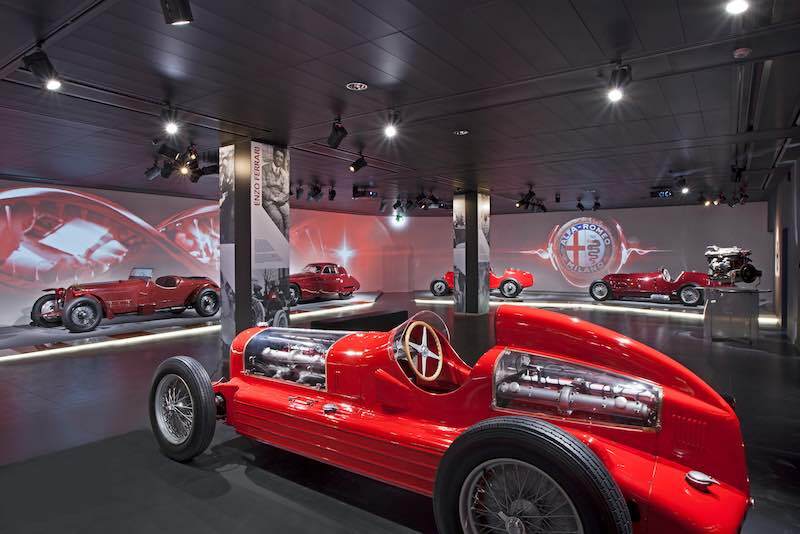 Visitors then enter the “Tempio delle vittorie” (Temple of Victories), another space where a presentation in images, sounds and film footage presents the 10 biggest triumphs in the history of Alfa Romeo. The journey through the legend ends with a spectacular finale: the “bolle emozionali” (emotional bubbles) dedicated to the experience of the Alfa Romeo world, with 360 degree virtual reality film footage, and a full-immersion room where visitors sit in interactive armchairs and watch 4D films dedicated to the successes of Alfa Romeo. For additional information, visit MuseoAlfaRomeo.com. “WOW” This is good news, a museum Alfa Romeo, the first opportunity I have I need to visit it, I was born in Italy and the only two cars I know then was the Fiat and Alfa Romeo.My first car was the Giulietta Sprint 1963 the mistress of the road, then I settled in the Unite State, cars are my hobby and along with other cars I need to have my Alfa Teem: 1969 Duetto, 1971 Montreal, 1976 2000 Spider and Spider Graduete 1986. Let’s say I am Alfista. Please be kindly to give me more information on how to coordinate a visit to the museum. Thank you, and Go 4 Alfa all the ways. Very cool! Thanks for a great article. Wonderful! Now, is that a twin engined ALFA???? Please explain! The twin engine was a runner ,however, it spent more time in the pits changing tires and lost it’s competitive edge.